Find True Happiness By 'Letting Go' - Welcome to SarahKesseli.com! Quite often my clients tell me that they can not seem to ever feel truly happy. No matter what they do nothing feels like it used to. They remember being happy at one point but can’t seem to figure out what happened to change that happiness. This is where we begin to dive in and take a look at what has happened in the past. I found this great article from Rick Warren that fit perfectly with this topic and I wanted to share it with you today. It fits perfectly with this topic. Many times our true happiness is weighed down or buried because of things we can’t seem to let go of. Instead we need to learn to let go and in many cases forget the past. We only have a limited amount of energy, so why waste it on things we cannot change. This is why many times we find ourselves tired, fatigued and unhappy. Instead, focus on the positive things, the things that bring you enjoyment in the moment and all the great adventures that lie ahead! The Trap Of Regret – You’ve got to let go of regrets. Are there things I wish I had done differently in life? Of course. But I can’t dwell on them because I can’t change them. Don’t waste any emotion on regrets. Take some time to sit down and think about anything that could be holding you back from pure happiness. There may be some things that are obvious, while others may not be. Once you have figured out what these things are, decide today that you are going to let go and move forward. You may just find the true happiness that you have been looking for! 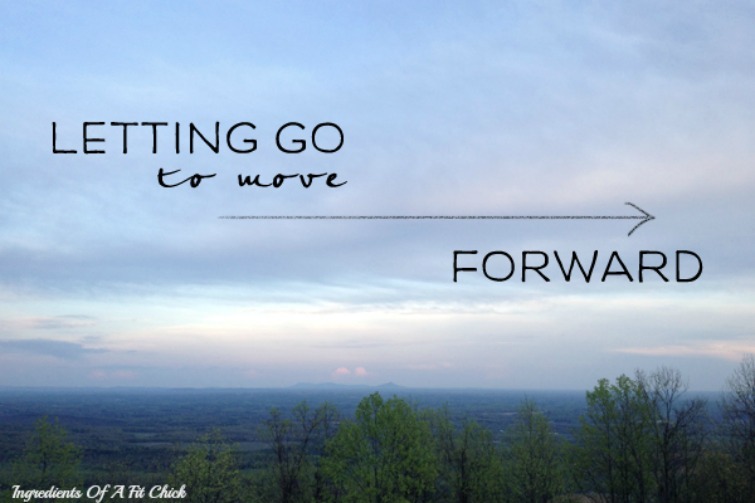 What do you need to let go of from your past so that you can focus on the future? Why do you think it’s so difficult for people to let go of tradition? *The Habit Of Happiness. Rick Warren, June 2014.